Having a customer portal where your customers can submit support requests saves a lot of time. 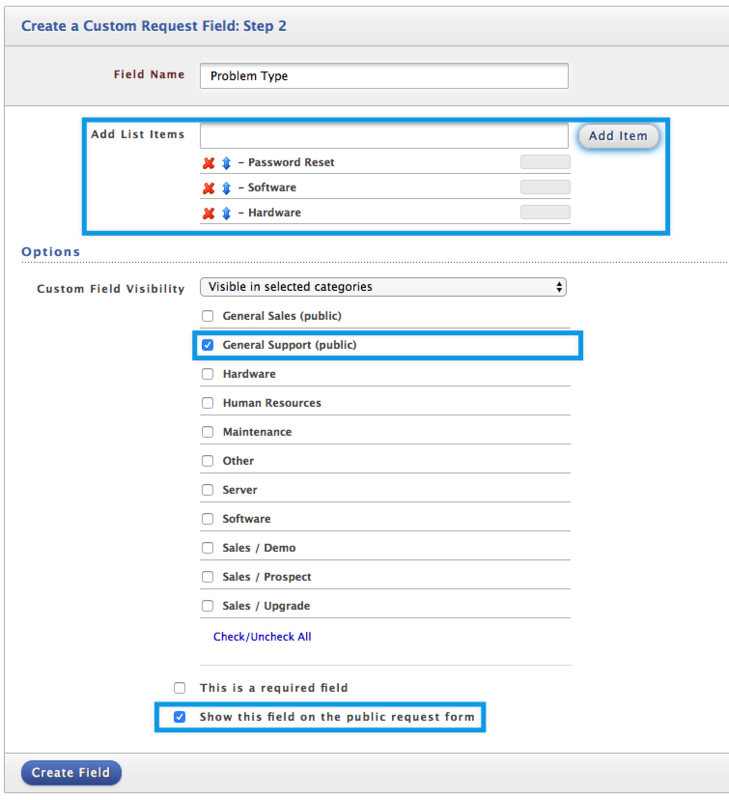 With HelpSpot’s portal customizations, customers can complete custom fields in the HelpSpot request form to provide extra details about the problem they are experiencing. Sometimes enough details can be gathered in this initial form to send the customer an initial response or solutions. In todays article we will put together a trigger to automatically send customers a resolution based on their form inputs. For todays example we’ll use a common problem, a forgotten password. 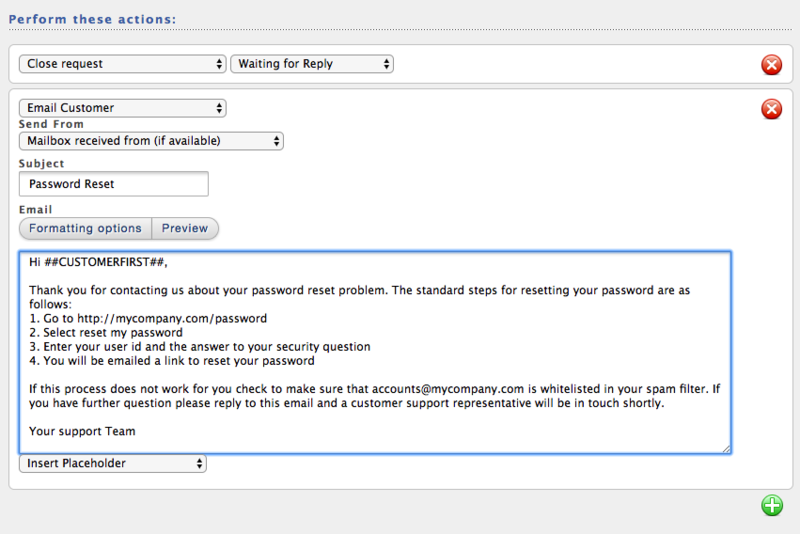 To send out an automated response we first need to build a way for customers to indicate their specific problem. We’ll do this with a custom field. Create a predefined list for the general support category that contains three values, Password Reset, Software Problem and Hardware Problem. Mark this custom field as “Public” so that customers can complete it when filling out a form. Now that the custom field is created, we can create a trigger that will automatically send a response if the customer selects the “Password Reset” option. Set the trigger to fire when a new request is created. Then set a criteria for our custom field that we just created. Finally we are going to add an action that will email the customer and close the request with a “waiting for reply” status. Now whenever a customer fills out the request form requesting help with a password reset, HelpSpot will automatically send them an initial troubleshooting guide. You can of course expand on this basic example to include additional actions and criteria to further automate your HelpSpot installation.